“Rather than adding to competition between the branches of medicine, this Consultancy is emphasizing integrated coordination for the true health and wellbeing of the patients,” said the former Governor of Mizoram State, Mr. Kummanam Rajasekharan, in his Inaugural Address for the project, on March 29th. 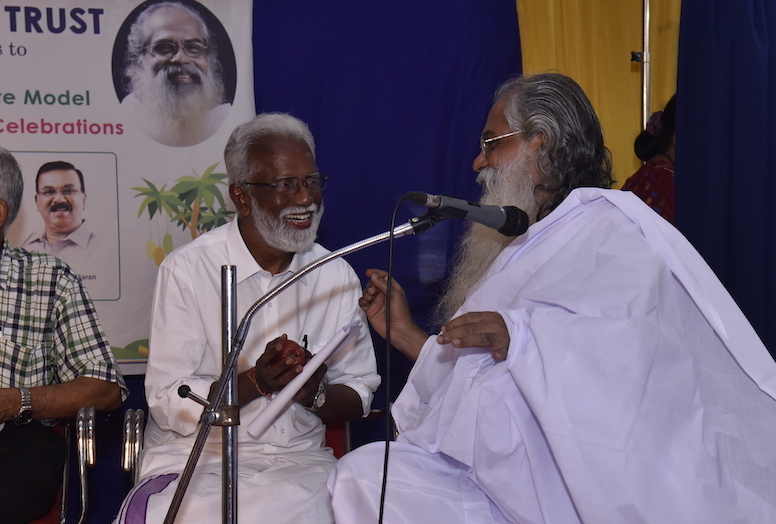 “It is another wonderful initiative of His Holiness Jagadguru Swami Isa and the IVPT which will simultaneously reduce suffering while increasing knowledge,” said Mr. Rajasekharan. A patient desiring expert opinion from various branches of medicine will come to IVPT for a consultation. A panel of doctors will review the clinical findings and decide upon the best method of treatment. Doctors from several countries have already come forward to participate in this project. If you would like to recommend a doctor to participate on the Board, please get in touch with us at isa.viswa(at)yahoo.co.in.